"Graduate from college, get a good job, save 10% of your paycheck, cancel the movie channels, quit drinking expensive Starbucks, save and penny-pinch your life away, trust your life-savings to an indexed-fund peddled from Wall Street, and then one day, when you are oh, say, 65 years old, you can retire rich." Welcome to the greatest scam of the modern world, one that will take you 50 years of your youth to realize that you were conned. You don't want to DIE rich in life's tired twilight, you want to LIVE rich in vibrant youth. Unfortunately, since you were old enough to work a job, you've been lied to by an army of financial profiteers and mainstream media hucksters. The ruse? The reckless idea that TIME can create wealth through patient investing with the most untrusted people on the planet... Wall Street. That's right, invest in an indexed-fund for 50 years while blindly trusting the uncontrollable and unpredictable markets: the housing market, the stock market, and the job market. I call this soul-sapping, dream-stealing dogma "The Slowlane" - an impotent financial gamble that dubiously promises wealth in a wheelchair. Accept the Slowlane as your financial roadmap and your future will blow carelessly adrift on a sailboat of HOPE: HOPE you can get a job and keep it, HOPE the stock market doesn't crash, HOPE the economy stays solvent, HOPE, HOPE, and HOPE. Is HOPE really a solid centerpiece for family's financial plan? Drive the Slowlane and you will find your life deteriorate into a miserable exhibition about what you cannot do, versus what you can. If you refuse the lifetime subscription to mediocrity, penny-pinching, and "waiting to retire so I can finally enjoy life" there's an alternative; an expressway to extraordinary wealth capable of burning a trail to financial independence faster than any road out there. And shockingly, this road has nothing to do with the Wall Street, jobs, 401(k)s, index-funds, or a mindless regimen of frugality. Demand more. Change lanes and create your explosive wealth accelerator. 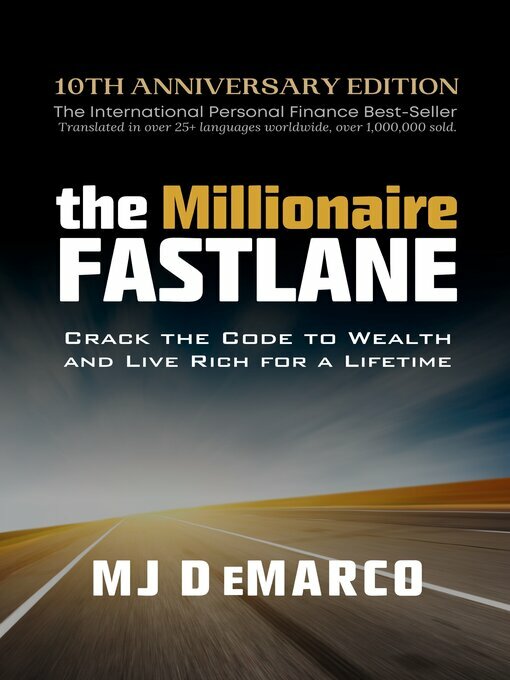 Hit the Fastlane, crack wealth's code, and live rich for a lifetime.